Steve and I managed to get three highly coveted hours in the Level D simulator today. The instructor gave us our first dose of system failures and malfunctions. If I recall the full list correctly, before we even took off we’d had a hot start, a start valve which wouldn’t close, an engine failure while starting, a right main boost pump failure, and a hung start. This was my first opportunity to taxi an aircraft with a nosewheel tiller, so I got some practice with that. I figured out how the thrust reversers work, and honed my technique on the ground spoiler check and takeoff briefing. We managed to get in three approaches, a hold, and Steve — who has a lot of experience on the Gulfstream — performed a short field takeoff and landing when it was his turn to fly. It was enjoyable, and I certainly gained a lot from the experience. However, I wasn’t totally thrilled with my performance in the box today. For one thing, I didn’t descend from MDA in time to land on the runway, and on the missed approach flows I re-engaged the autothrottles. Within seconds we were 1,500 feet above the assigned altitude and accelerating through 320 knots. Oops. It will get better, I’m sure. But a performance like that really cuts you down to size quickly. The key to preventing this is to know those flows backwards and forwards. That’s what we worked on after the sim session. I also need to get more sleep! I am starting to realize that the guy in the right seat has the higher workload in many ways. He’s got to program the FMS, read checklists, make call-outs, and hunt through the QRH for emergency procedures. Ironically, the left seat is where you’re sitting during the checkride, so in some ways the pressure is off co-pilot because he’s not being officially evaluated. Of course, there’s unspoken pressure to support your sim partner when you’re riding shotgun, as he will do with you. The two pilots form a cohesive team, and if the right seat pilot doesn’t do his job properly, it’s not hard to leave the guy going through his checkride hanging out to dry. My sim partner, Steve, has been outstanding in that regard. He will quietly say a key word under his breath to remind me of something when I need it. It doesn’t happen as often anymore, but there are still times when I get flummoxed on a particular functional check or procedure. He helped me put tabs on the QRH book to more quickly pull up key emergency checklists. He’s always encouraging, and provides real-world tips which also ease my workload in the simulator. And when he reads checklists to me, they’re phrased correctly so I know what needs doing. At lunch, were were talking about how there are no ‘egos’ in this class. Apparently that can sometimes be a problem (I know, I know — pilots with egos?? Never!). I have to agree, everyone has been friendly, humble, and a team player both in the classroom and the simulator. My worst nightmare? Being assigned a sim partner who didn’t want to work as a crew but instead tried to do everything himself. I’ve heard of guys like that before, and it leads to major trouble every time. CRM (crew resource management) is essential to operating a complex jet like this, especially when the flights are short in duration and filled with malfunctions and emergencies. Anyway, I’ve been writing a lot and unfortunately not sharing much in the way of artwork. So here are some photos I’ve taken of the Simuflite facility. First, here’s one of the procedures trainers we’ve been working on. This is a backlit mockup of the cockpit, great for finding switch locations, running checklists, and so on. I like this trainer a lot because it has the right and left sidewall panels, something the avionics and IPT trainers are missing. Here are a couple of photos from the “west wing”. 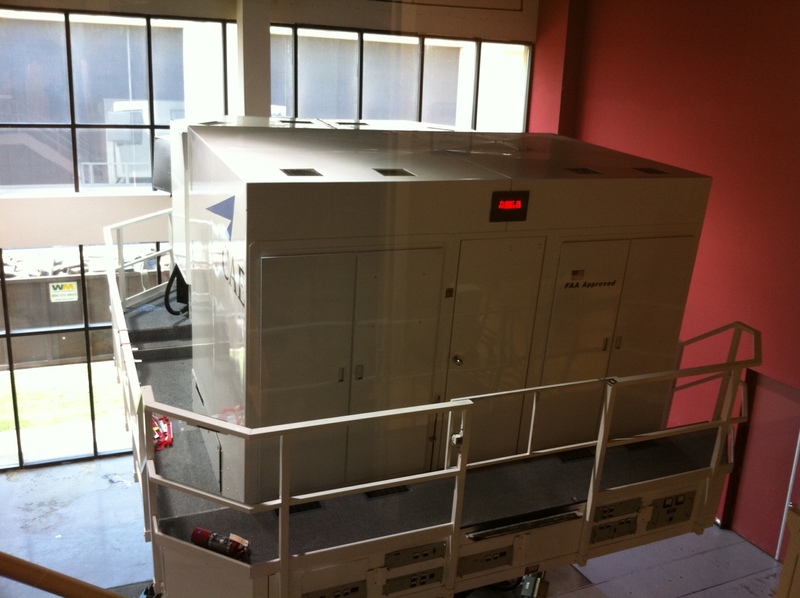 This area of the building contains briefing rooms, avionics and Simfinity computer-based simulators, and of course the large bays with the Level D full-motion simulators. I didn’t realize this until recently, but CAE — the company which owns Simuflite — also manufacturers many of the simulators. 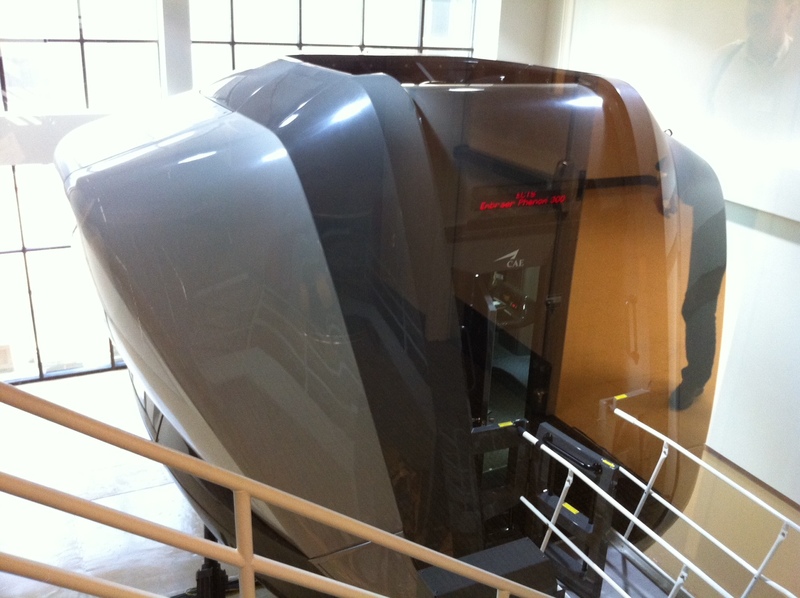 This black beast is an Embraer Phenom 300 simulator, one of CAE’s newer designs. I haven’t seen the interior, but the outside of the box sure looks space-age. This sim is not in use. The door is open and the drawbridge is down. 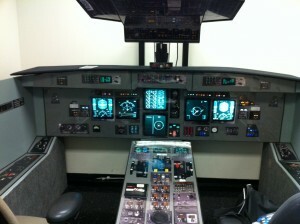 The grey simulator pictured below is for the Falcon 50. You can see the simulator is in use because the bridge has been raised and the “Motion In Use” red light is on. Everyone who flies the Falcon series seems to love the airplane. Apparently those jets handle like fighter jets. I guess that’s great, but how often do you get to fly it that way? These planes are on autopilot all the time, and even when they’re hand-flown, you can’t be yanking and banking with passengers walking around in the cabin. The Gulfstream, on the other hand, has heavier controls and generally flies like a much larger airplane. Think of it as handling like a truck. 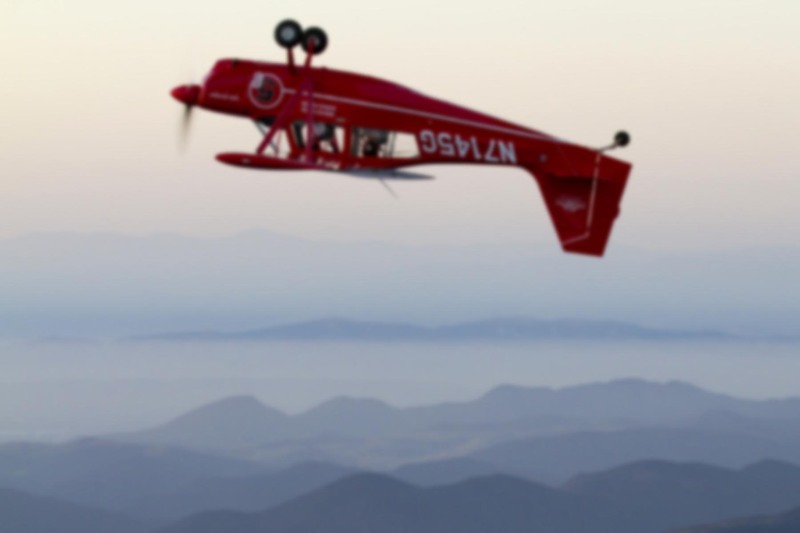 Simuflite’s Dallas location is purportedly the world’s largest. 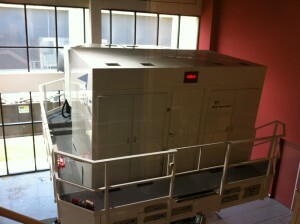 I think the building is nearly 500,000 square feet and there must be at least a dozen Level D simulators here. I’ve seen sims for the King Air 200, Hawkers, Falcons, Phenoms, Challengers, and Gulfstreams. I believe the Learjet and Citation simulators are in another part of the building. Bombardier has it’s own entrance over on Glade Rd. where I assume there are additional training assets.